Some two-fifths of people wash raw chicken in preparation for cooking. But health experts say the practice could cause more harm than good. 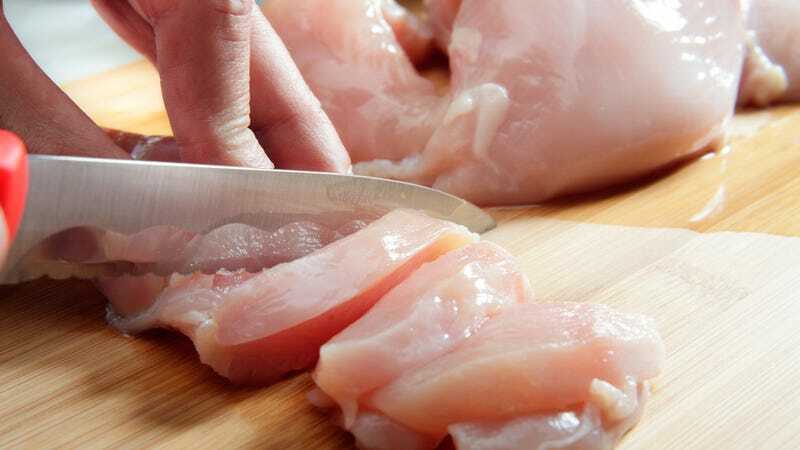 According to the Food and Standards Agency (FSA) in the United Kingdom, washing raw chicken can spread harmful bacteria on to hands, work surfaces, clothing, and cooking equipment through splashed water. The primary culprit is the campylobacter bacteria, which affects more than 280,000 people in the U.K. each year. The bacteria can result in a condition known as campylobacteriosis, which compromises the immune system. ARS Campylobacter jejuni; Wikimedia Commons. The FSA claims that four out of every five cases of food poisoning are caused by contaminated chicken. Typically, food poisoning results in manageable symptoms such as abdominal pain, severe diarrhoea and vomiting, but it can also lead to more significant long-term health problems.